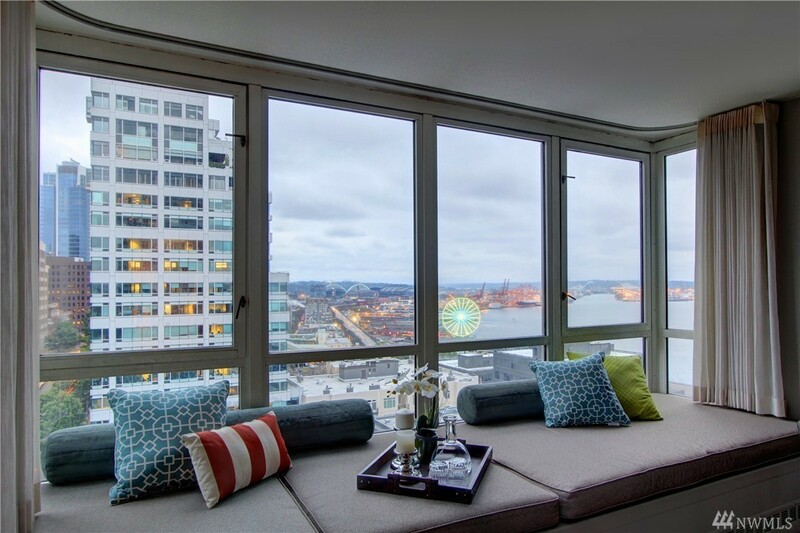 Enjoy sweeping views from this amazing end unit condominium in Belltown. The spacious layout including huge windows compliment the serenity of city lights, the luminous ferris wheel & view of the Space Needle from the master bedroom. Building amenities offer an indoor pool, hot tub, sauna, exercise gym, game/rec room & private common garage for residents. Only steps away from Pike Place Market, Seattle Waterfront & South Lake Union. Premium Location, iconic building & protected views!